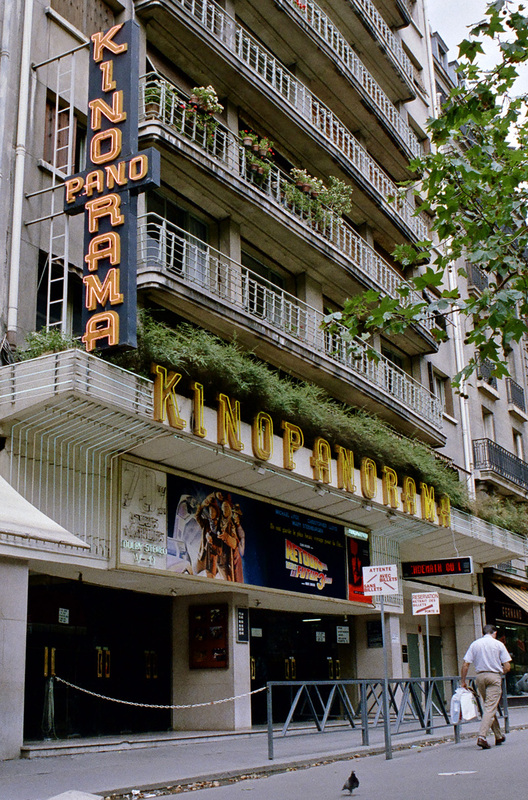 The legendary Kinopanorama cinema in Paris, France. Closed around 2002. 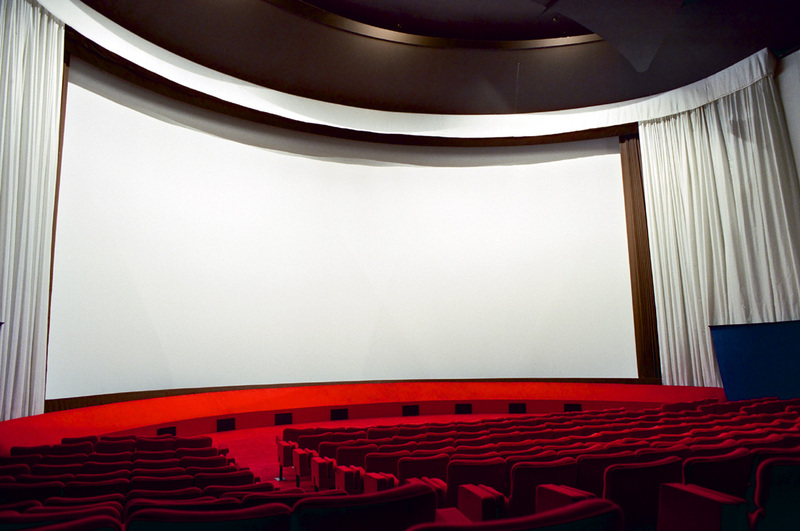 It was very famous for showing 70mm films in the 1970 and 80s. Among the films were "The Rose", "ET", and "Apocalypse Now" in blazing 70mm. Original cinema opened 1919. New building from 1958 designed by Mr M Pinton. Played Russian 3-strip Kinopanorama films with changeovers. Very large curved screen 79 x 33 ft, CP200, SR.D, STS sound. Played "The Doors" as the first cinema in France with CDS sound. Rebuilt summer 1992 - August 1992. "2OO1:A Space Odyssey", "Lawrence of Arabia" both played here in 70mm. Closed July 2002. 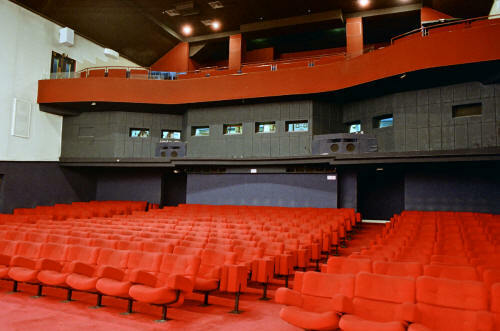 The auditorium with nearly 600 seats. Note the balcony above the projection room. 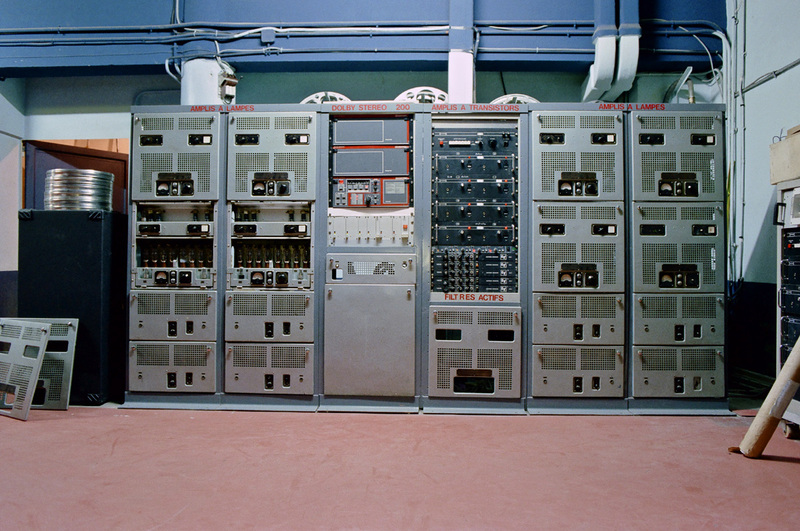 Note the many projection ports. 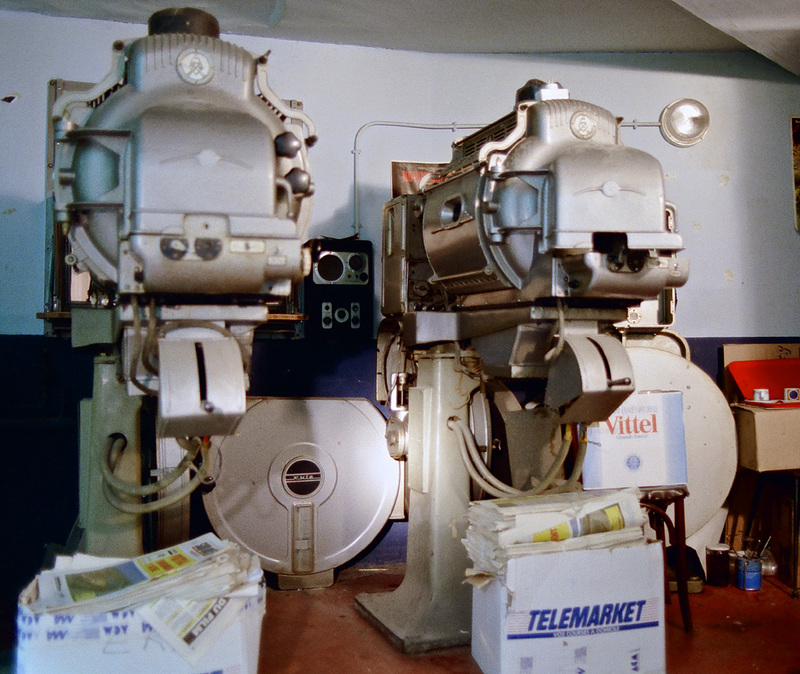 Two in each side for dual Kinopanorama projectors, and four in the middle - two for 70mm and two for Kinopanorama. 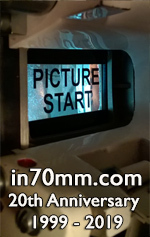 Hall mark of the Kinopanorama - the big curved screen for 70mm. 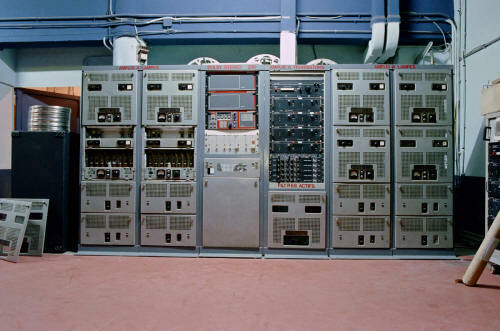 The sound system installed at the Kinopanorama was famous all over France, and the Kinopanorama was among the first to show Sensurround and Cinema Digital Sound. 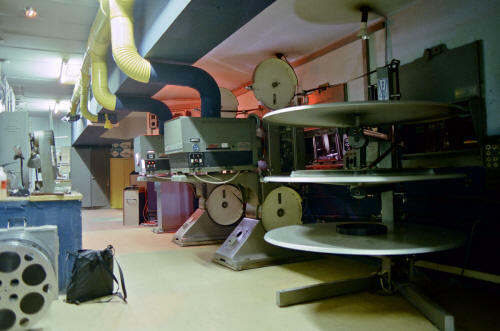 Projection room with a pair of Philips DP70s (1905+1907) from Le Maine Palace. 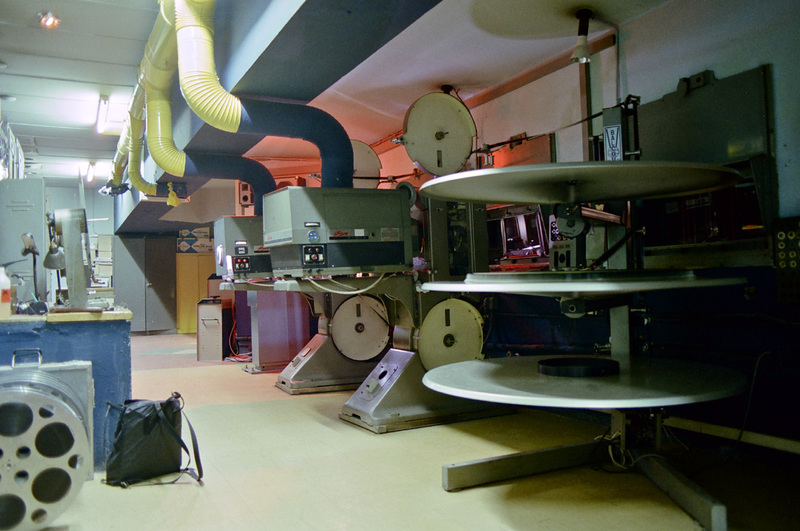 Projection room with a pair of Philips DP70s. 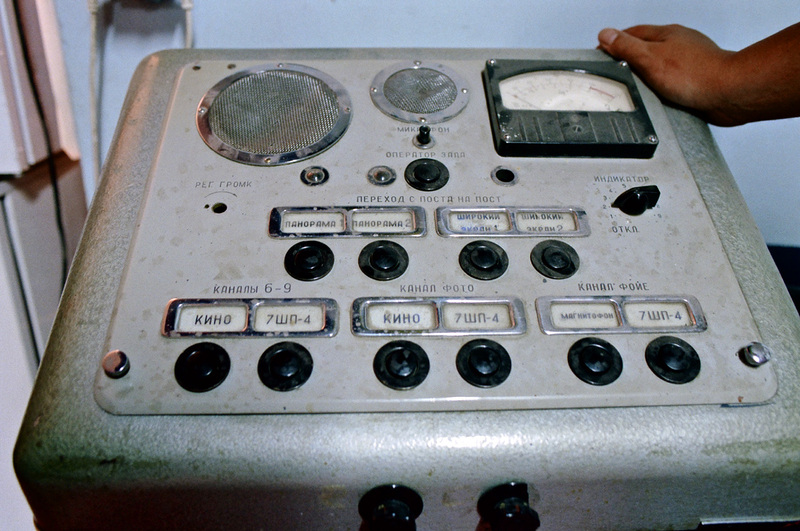 Sound rack with a CP200 Dolby Stereo cinema processor, surrounded by vintage CCCP/USSR sound equipment for 3-panel Kinopanorama films. 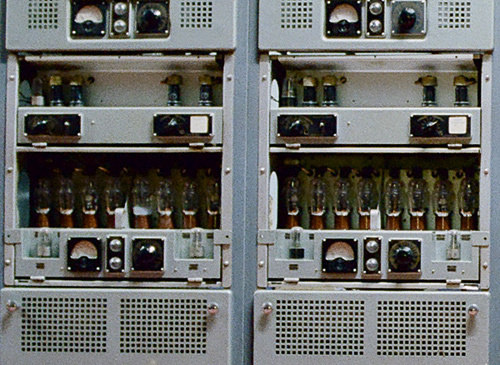 Close up of the valve amplifiers. 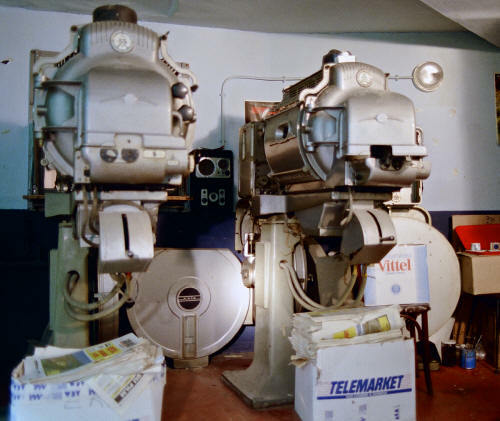 Vintage Kinopanorama projectors stored in the side of the projection room. 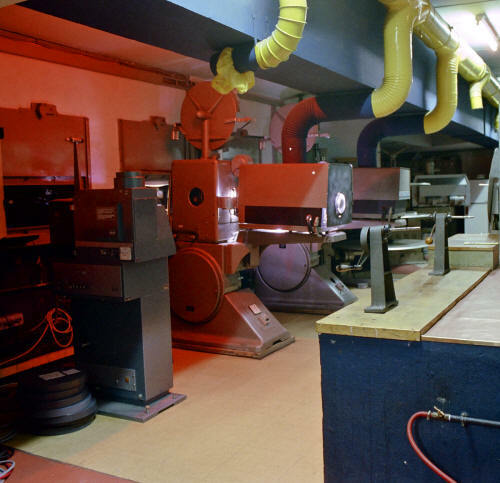 At the Kinopanorama, Russian Kinopanorama films were shown with change overs, which required 6 projectors. Sadly, no one have seen 3-strip Kinopanorama films publically since the last shows in the 1970s. 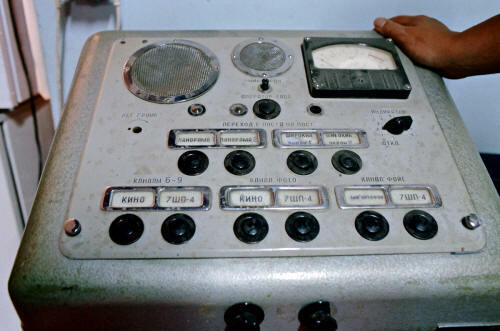 Despite several well meant, but ill-fated attempts to bring the spectacle of the process back the past 20 years, anyone involved seems to suffer from delusions of grandeur - hence "The Curse of Kinopanorama". Not being a doctor, this is of course only subjective speculation. 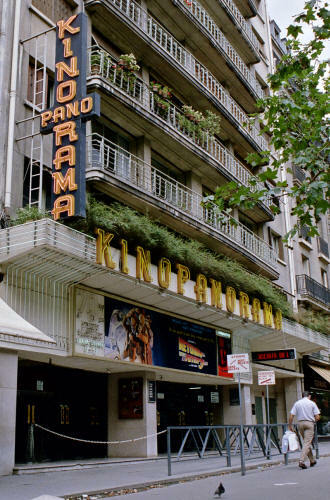 Kinopanorama aside, 70mm presentations were so popular and frequent that a permanent "70MM 6-Track Sound" neon sign was installed on the facade. It can be seen on this picture right next to the "Back to the Future" poster. 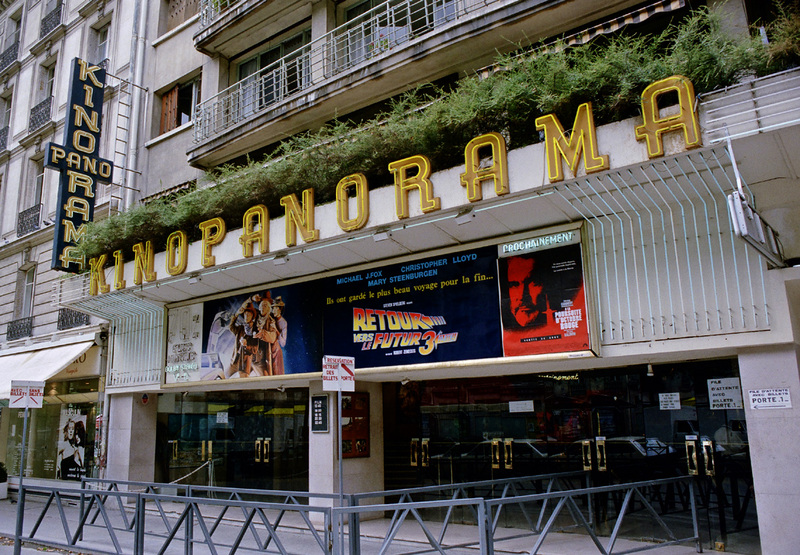 As we say good bye to the Kinopanorama we leave along the Avenue de la Motte-Picquet.